Never miss a fish again in a short bite with a frog. Our Frog Sticker, with a 5/0 wide gap Mustad hook setting back between the legs of the frog, will give you a good hook set. With a regular hook set up it would be just a blow up or a short hit and no fish. 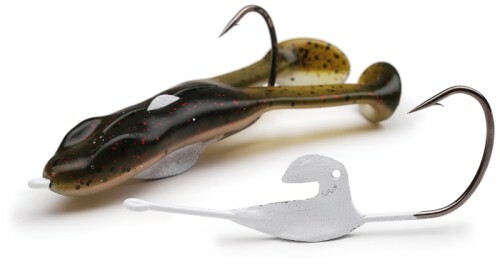 The Frog Sticker will land in the water always with the frog right side up and the hook upright. You can also fish it on the surface or swim it at any speed under the water. Thread the line tie eye through the under side of the toad along the centerline of the bait. It can be helpful to create the path using the hook point first. Then pull the hook eye back about 1/4". 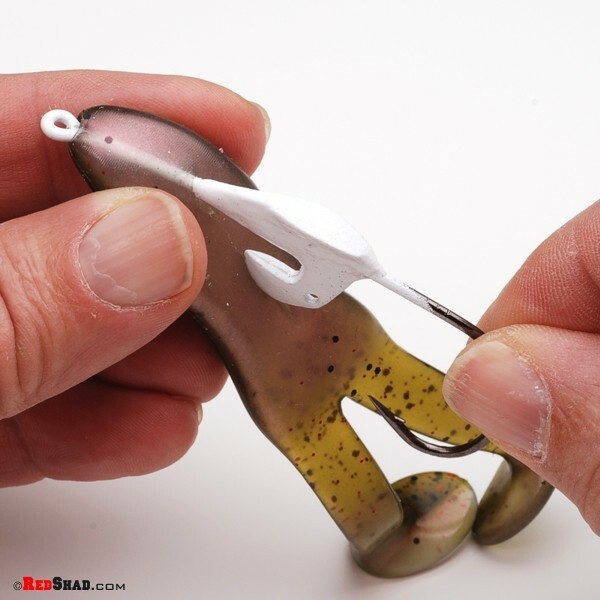 Line up the hook with the center line of the bait and press the keeper into the bait. The keeper will push all the way through the bait. Once it is all the way through, push the hook forward to expose the line tie. 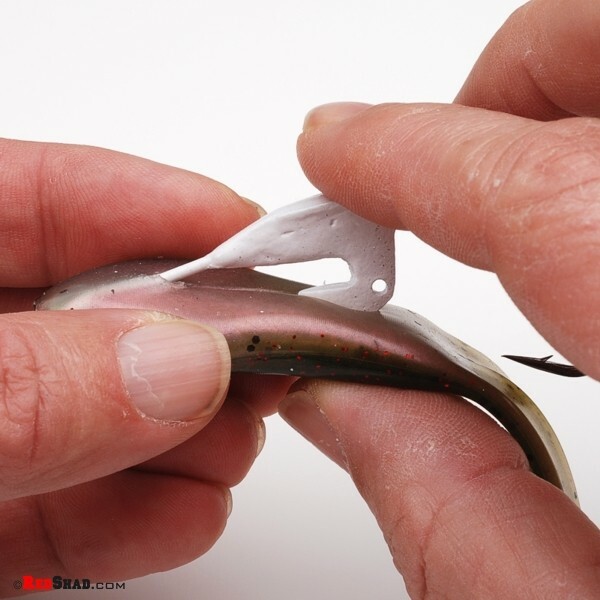 With softer baits, you may want to stick a short piece of toothpick through the hole in the keeper locking it in place. Toads such as the Stanley Ribbit, Zoom Horny Toad, Chubby Frog or even beaver-style baits can be rigged on the Frog Sticker. Due to the weighted hook design, the bait will always land hook up providing a weedless presentation but with the advantage of an open hook. Catch those fish that may miss a standard toad rig!